• Instantly loosens mineral scale, lime, rust, and other detritus from pond water pumps. • Keeps your water pump operating properly and efficiently. • Biodegradable - Safe cleaner formulated to rapidly dissolve all types of mineral scale, lime and ruse from equipment used in ponds. It also is designed to quickly remove calcium carbonate. • PumpGuard is safe for use with plastic, ceramic, rubber, PVC, titanium, copper, nickel and short-term use with stainless steel. 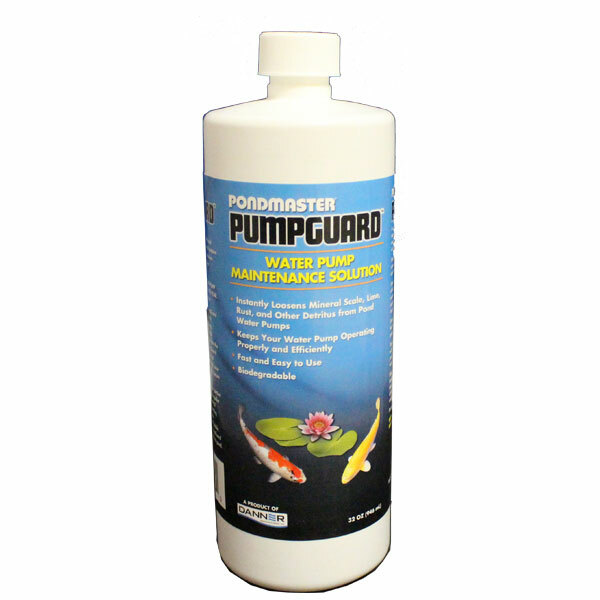 • PumpGuard should be used annually or for heavier fish loads, every season for optimal performance. Most Viewed in Cleaning - Cleaner, BioGreen, Bleech, etc.